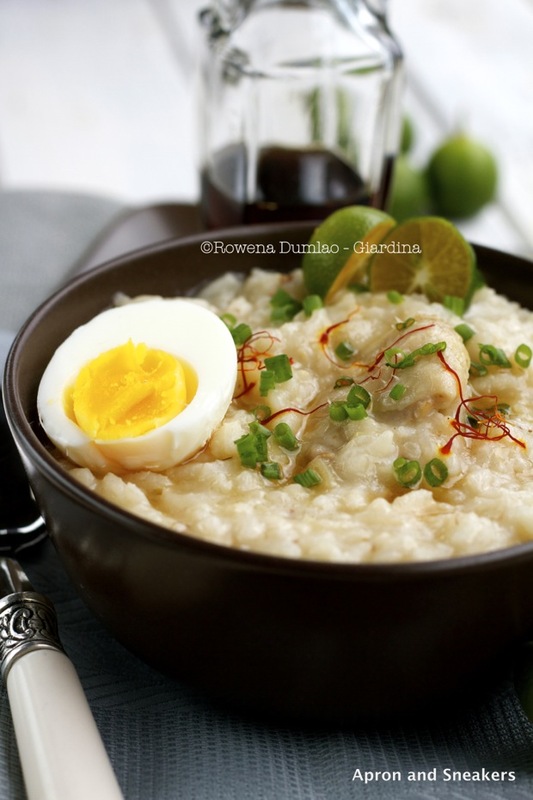 For this year, I prepared my annual arroz caldo, went through my usual cooking for 4 and eating for 4 then I concluded my appetite for it until the following year again. 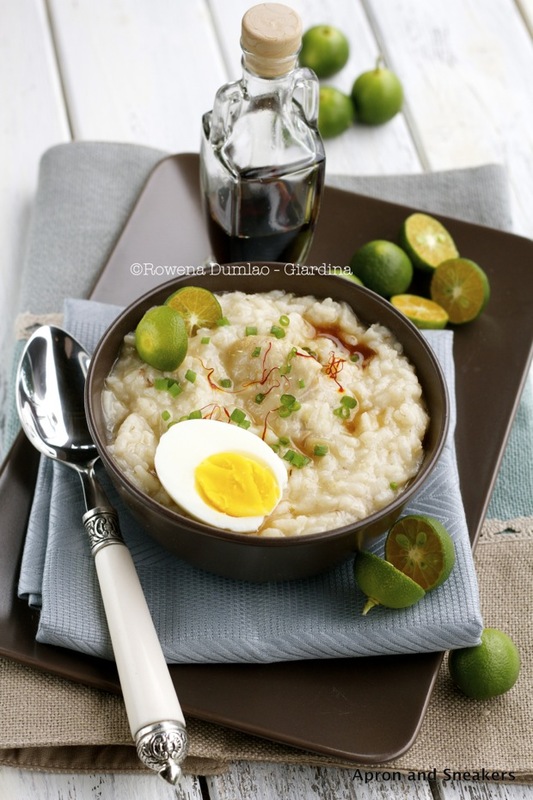 This time, I want to share with you the Philippines' version of chicken congee. Almost all Asian countries have their own and this is the one that I grew up with and can't go without. In the Philippines, this comes to everyone's mind unanimously when the temperature drops by a couple of degrees and the rainy season starts to keep everyone indoors. And it's everyone's comfort food, including myself. 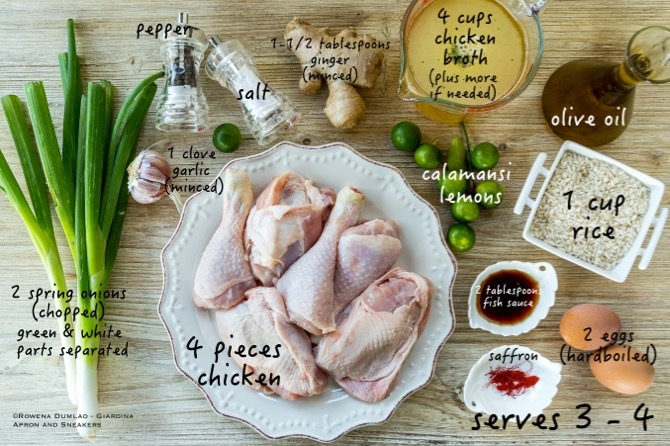 Inspite of my continued hope that my kids would open up more to the Philippine cuisine, this dish is something that I still need to work on to meet a compromise with them. Maybe take away the fish sauce or ginger? Or maybe I just need to give them time to grow up and widen their appreciation for more diverse tastes. If you haven't tried this dish yet and you like Asian flavors, this is a must to add to your list during the colder months. Buon appetito! Sautè the onion, garlic & ginger in a thick pot with extra virgin olive oil. Toss for a couple of minutes. Add the chicken. Toss for about 10 minutes or until the color of the chicken has changed. Add the rice. Toast for about 2 minutes. Add 1 liter chicken stock, saffron powder and 2 tablespoons fish sauce. Simmer for 30 minutes or until rice and chicken are cooked through. Stir every once in a while so that it doesn't stick to the bottom of the pot. The amount of broth that you put depends on the consistency of the rice that you want. 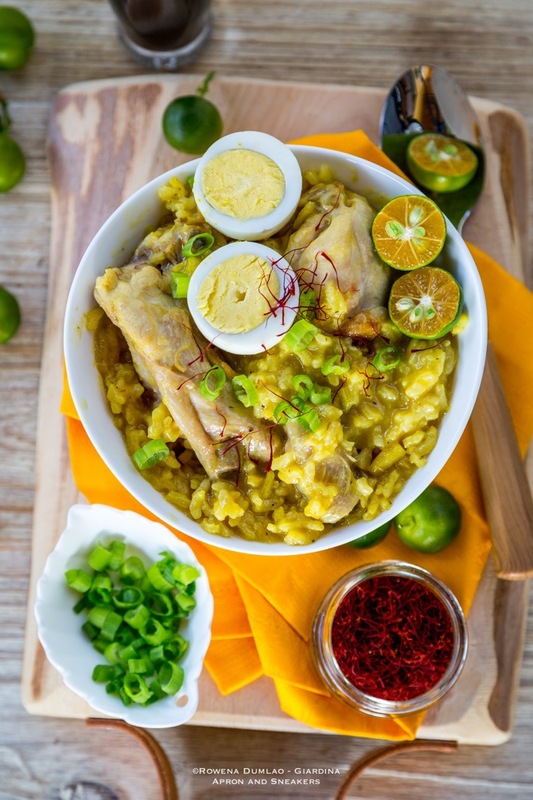 To serve, put the rice in a bowl with chicken, sprinkle with spring onions & saffron pistils. Put half an egg on top. 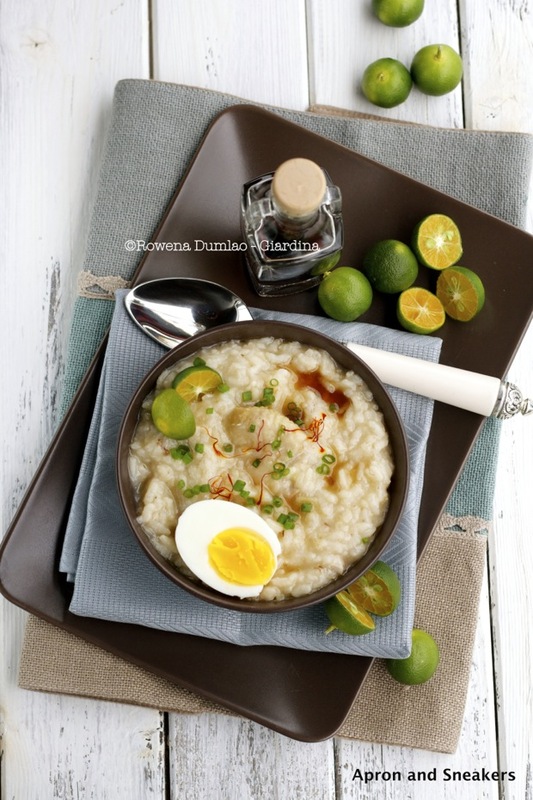 Serve with calamansi (or lemon) & additional fish sauce (if desired). 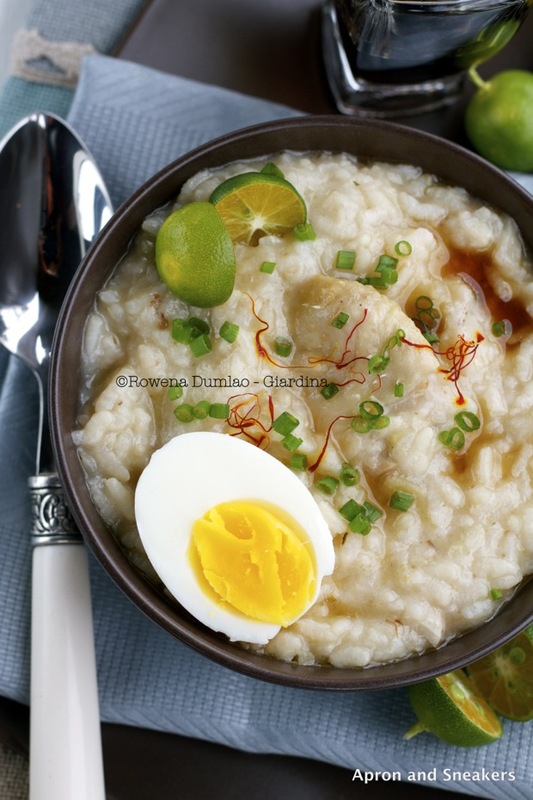 NOTE: Leftover arroz caldo can be kept in a sealed container in the fridge. When reheating, simply put in a saucepan and add some water or chicken broth.